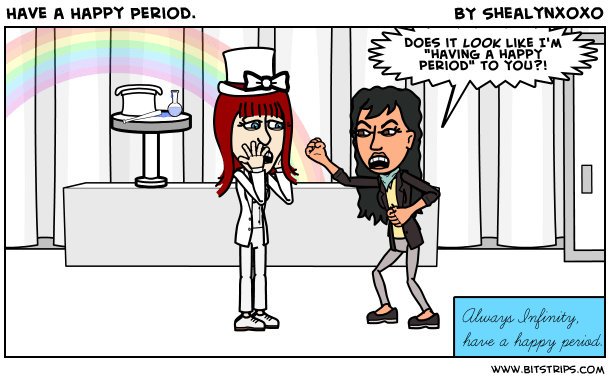 Posted on November 11, 2012, in Periodtastic, Thumbs Up Reads and tagged DotComJunkies, Fetish, Have a Happy Period, Kayo's Flow Forum, Menstrual, Menstruation, Periods, SpamFreeForums. Bookmark the permalink. 11 Comments. Thanks for posting this update, Prexus, and the link to the new Flow Forum http://www.spamfreeforums.com/kayo/. We’re working on getting the site more exposure on the search engines, even tho that’s a double-edged sword. When we start to attract too much spam (did I just say “too much”??) we’ll institute registered handles only. For now, getting the word out is more important, and your site is helping tremendously. Thanks for being a loyal fan and supporter!! Prexus, it looks like Spamfree forums is now down and has been for the past few days. Have you had any contact with Kayo, and if so, is there any chance you could update us on just what’s going on with the latest Flow Forum? Thanks. Wish I had Kayo’s or the other ‘regulars’ contact info but I don’t. I’d definitely love to hear from any of our flow lovers if they know where we can reconvene our community again! I don’t think the topic or love of menstruation itself is marginal topic but rather some of the CONTENT that gets posted may be a violation of hosters out there. With that said, there are still many forum hosters of ‘adult material’ so I don’t think we’ll be left out in the cold for too long. Our biggest issue is how we can rebuild our membership base because I’m not sure how many people were connected with other posters enough to reestablish the new home. I’ll certainly try to get in touch with as many people as I know from TFF… all of 3… LOL.